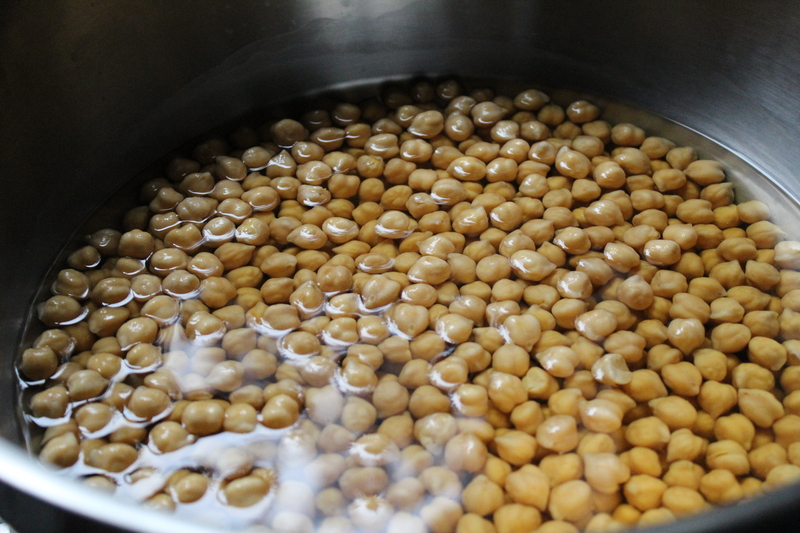 chickpeas are one of our favorite foods — in salads, soups, as hummus, or falafel. the girl is also a major snacker; something she’s tried to curb lately, but when we found a new (crunchy!) use for these guys, she had to indulge. this is so simple a two year old could do it (but you should probably do the oven part). 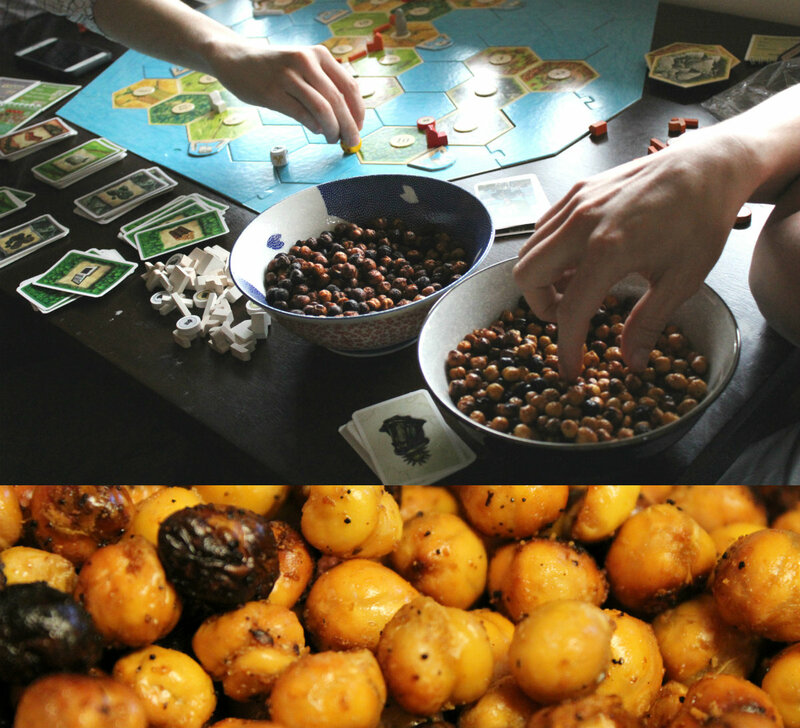 these crunchy chickpeas are even settlers of catan approved. the time consuming part is that you have to let them soak overnight to reconstitute. leave them in a bowl with two inches of water over them and when you wake up, they’ll be ready! 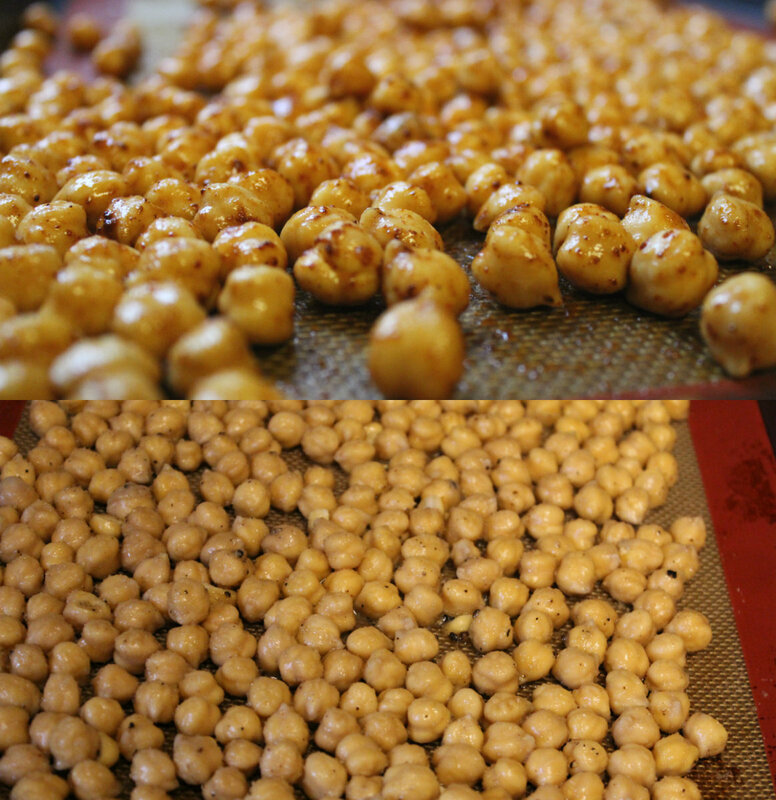 preheat the oven to 400 and toss them in enough olive oil to coat. put your spices in a container with a lid, throw some chickpeas in and toss them — vigorously enough to coat them with lots of flavor. we did two batches: one, hot chili powder + lime juice + salt. the second, garlic powder + salt + pepper. we can’t even put measurements here, because its all about personal taste. we used a LOT of flavor and a LOT of salt — but the girl likes salt so much i’m considering a salt lick as a wedding gift. let them bake for 45 minutes, tossing every 15.
if you have a better flavor idea, let us know!